Ag-tech junior, CropLogic (ASX:CLI), is weighing up an entrance into the industrial hemp market in Oregon, USA. To facilitate this, the company has appointed two consultants: Green Rush Advisory Group (corporate advisor) and Green Light Law Group (law firm). Both parties will work closely with CLI to explore opportunities in Oregon — the USA’s third largest state for industrial hemp production. By way of background, CLI is an award-winning, New Zealand-born ag-tech player. CLI offers farmers and growers of irrigated crops digital agricultural technology expertise, weaving together science, agronomy and technology into an expert system for decision support. After launching its product offering into Washington State last year, the company is currently servicing a significant number of horticultural growers in the region, holding up to 30% market share in some crops. This latest promising announcement, meanwhile, comes off the back of CLI’s November investor presentation, which noted the company’s interest in appointing a consultant to navigate the burgeoning Oregon market. CLI believes it is well-placed to take advantage of the emerging agronomy and digital agricultural trends in hemp and CBD production. 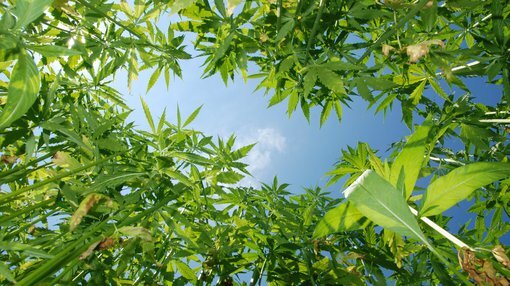 According to a recent report by the Brightfield Group, the US industrial hemp market could reach US$22 billion in value by 2022. An additional report by Grand View Research Inc. indicated that increasing consumer demand for high-quality cosmetics, personal care products and protein supplements were among the prime market drivers. The Grand View Research report also indicated that increasing R&D work to develop agronomy practices in regards to hemp production has made a positive impact on hemp quality and yields. Considering that CLI has been involved in the agronomy space in Oregon for some time, Grand View Research’s findings are highly promising. Under the terms of appointment, Green Rush and Green Light will provide a comprehensive report on the industrial hemp market in Oregon. Depending on the results of the report, CLI will target an entry into this market during the 2019 Oregon growing season. CLI CEO, James Cooper-Jones, commented on the announcement: "CropLogic is focused on seeking out and expanding the crops that we target and furthering our understanding on how we can service new industries and integrate our farm management, agronomy and digital ag-tech experience. "In each of our growth regions, CropLogic is looking for crops with high performance, growth trajectory and market share potential. Dependent on region potentials, our target crops may vary — from citrus in Sunraysia in Australia to hops and apples in Washington State, potatoes in Idaho, or hemp in Oregon in the USA. "I am looking forward to meeting industrial hemp growers in Oregon on my visit to the region at the end of November and finding out how we may be able to service this market," Cooper-Jones added.